At MySmile we have a comprehensive approach to oral health care and offer a complete range of preventive services for the patient’s benefit. Everyone needs to have a regular check-up. The main reason behind this is to give the opportunity to the MySmile dentist to tackle any initial conditions at the earliest stages in a preventive way or by providing conservative dental treatment, rather than requiring more advanced treatment. Most patients would require a check-up every six months but this can vary depending on the individual patient. During the check-up appointment, your MySmile dentist will check your oral hygiene, the condition of your gums, the presence of any calculus, whether there is any tooth decay and the condition of any existing restorations. Periodically you might need to have x-rays taken. Cavity detection through regular examination allows us to identify and monitor cavities from an early stage. 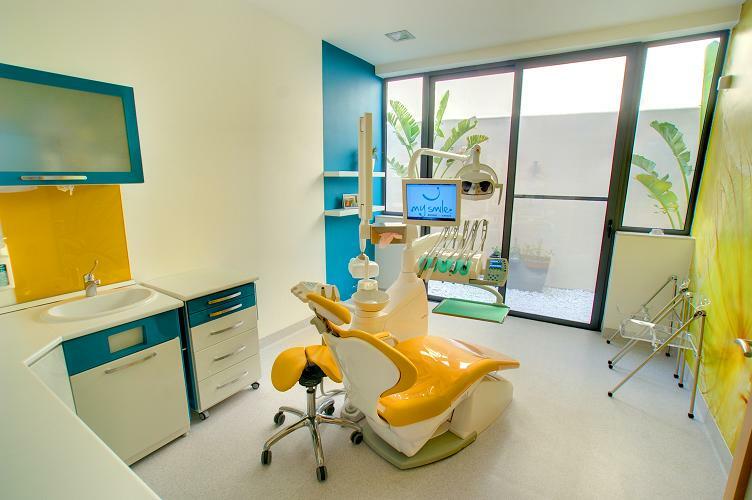 At MySmile we use cutting edge technology such as intra-oral cameras to take images of your teeth and gums. These images will be shown on dental-chair medical monitors while your dentist explains any details, enhancing communication and understanding between the dentist and the patient. How often do I need to have a check-up? The majority of patients need a check-up every 6 months. A once-a-year check-up may be suitable for patients who maintain very good oral hygiene and rarely need a cleaning or fillings. 4. More diagnostic: Allows us to alter the contrast of the image from the computer software whenever required. Viewing an X-ray that's the size of a computer monitor surely beats reading the old postage stamp-size photos. Is having an X-ray taken a painful procedure? Not at all. You will realise this once you've had your first X-ray taken. These X-rays mainly include Bitewing and Periapical X-rays and we can show you the image results on the dental-chair medical monitors to help explain any conditions detected from the X-ray. Bitewing X-rays need to be taken every few years to have a complete check-up done since these X-rays allow your MySmile dentist to assess areas that are not visible to the naked eye such as the areas in between your back molar teeth, beneath any existing restoration and underneath your gums and therefore expose any hidden tooth decay or gum disease. 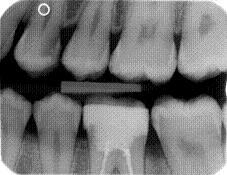 Periapical X-rays show the whole tooth including the root and the surrounding bone and thus enables us to look for any conditions in the root, screen for any infections in the areas around the root tip, assess any existing root canal treatments and check for any root fractures resulting from trauma. We also have a digital dental OPG machine located in our X-ray room. 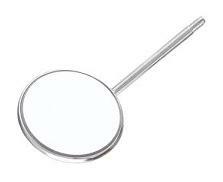 This type of X-ray provides a very detailed panoramic view of your full jaw, should this be required. It is particularly useful when planning surgical extractions of wisdom teeth, during the initial planning stages for dental implants, as part of an orthodontic assessment (when considering braces to have your teeth aligned) and when checking for fractures of the lower jaw. Calculus or tartar is a form of hardened dental plaque. It is caused by the continual accumulation of minerals from saliva on plaque on the teeth. Its rough surface provides an ideal medium for further plaque formation, threatening the health of the gums. Brushing and flossing can remove the plaque from which calculus forms. However, once calculus forms, it is too hard and firmly attached to be removed with a toothbrush. Calculus buildup can be professionally removed with ultrasonic tools and specialized instruments during a dental visit. Can I have my scaling done with local anaesthetic since my teeth are very sensitive? Yes. Local anaesthetic can be administered and the scaling can be carried out while the teeth and gums are completely numb. Some patients also opt to have the scaling done while under the effects of Inhalation Sedation (laughing gas). Dental fissure sealants are thin plastic tooth-coloured coatings that are applied to the grooves on the chewing surfaces of the back teeth to protect them from tooth decay. Most tooth decay in children and teenagers occurs on these surfaces. Sealants protect the chewing surfaces from tooth decay by keeping germs and food particles out of these grooves. The permanent molars are the most likely to benefit from sealants. The aim of sealing these back teeth is to prevent tooth decay rather than having to place dental fillings after tooth decay develops at a later stage. Sealants are often applied as soon as the first permanent molars start to appear in the mouth which is usually between 6 and 7 years of age, when optimal oral hygiene is usually a bit lacking. If necessary, the second permanent molars are also sealed as soon as they erupt which is usually around 12 years of age. The good news about sealants is that it does not require drilling the tooth to apply it and therefore no local anaesthesia is required. The process is short and simple. First the tooth surface is cleaned, a special gel is placed on the grooves of the chewing surface for a few seconds, following which the sealant is painted on the tooth. The sealant hardens immediately when a special blue light is applied onto the tooth surface. A sealant can last for as long as 5 to 10 years, by which time the child would have grown and oral hygiene should have improved. Sealants should be checked at each regular dental appointment and can be reapplied if they are no longer in place. How do I know if my child needs fissure sealants? Children who have had decay in their primary/baby teeth, need to have all the first permanent molars (of which there are 4) fissure sealed. Children who have had decay in any one of their first permanent molars should have all the second permanent molars (of which there are also 4) fissure sealed too. Bruxism is a habit whereby an individual grinds ones teeth and typically includes the clenching of the jaw. It commonly occurs during sleep and for some during waking hours while conscious attention is distracted. It occurs in most humans at some time in their lives but in most people bruxism is mild enough not to be a health problem. In fact most people are not aware of their bruxism. Only an estimated 5% go on to develop symptoms, such as jaw pain and headaches. A sleeping partner or parent may notice the behaviour first. Over time, bruxism can cause dental damage and abnormal tooth wear patterns since this repetitive movement abrades the tooth structure and can lead to the wearing down of the cutting edges of the front teeth and the chewing surfaces of the back teeth. Eventually this will cause dental pain and tooth sensitivity, pain from the jaw’s joint (TMJ pain) and headaches from the muscles which cause the clenching of the jaws. 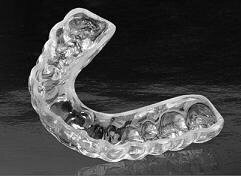 If bruxism is detected at an early stage, a bruxism splint/ mouthguard will prevent further tooth damage. The splint consists of a custom-made protective device that will be worn at night to cover the teeth and gums and will act as a cushion when the grinding process kicks in. What can happen if I grind my teeth at night and I do not take the necessary precautions? Over the years, the teeth will get worn down so much that the teeth's nerves eventually start to getting exposed, causing severe pain which can only be treated with root canal treatments or by carrying out extractions. Title Mr. Ms. Mrs. Dr. Fr. Sr. Prof.